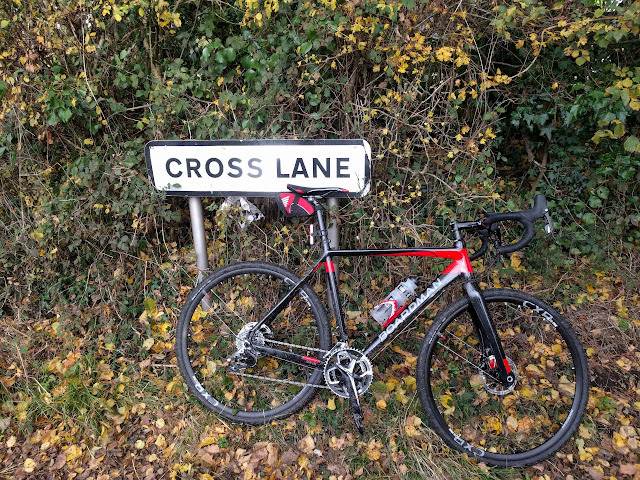 Nice place to stop for a cuppa! 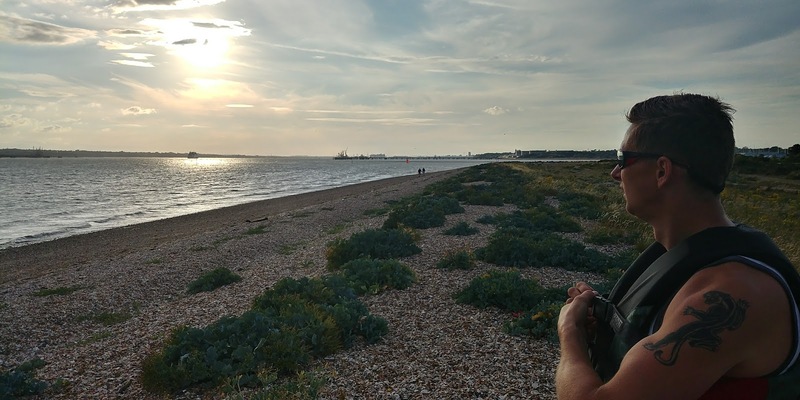 Well the plan was good and simple enough - a paddle from the Rising Sun pub in Warsash, down the river Hamble and then across to Calshot for a cuppa (courtesy of the JetBoil) and back agin. Easy right? You can't really see the wind in a picture like this - but it was there, promise! 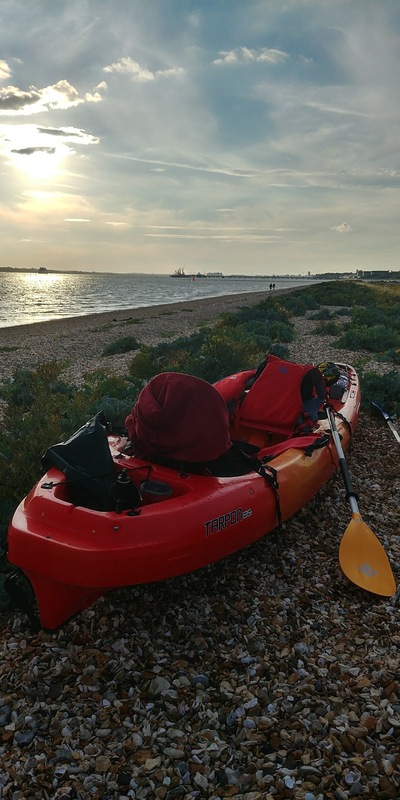 We parked up near the pub after negotiating what is possibly the world's most confusing small car park (badly) and unloaded the kayak on the slipway - all ready for our trip across to Calshot activity centre. The weather was lovely (20c approx.) 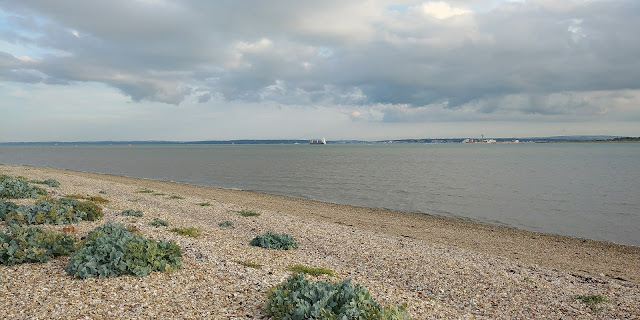 but the wind that was supposed to be dropping wasn't - it was still blowing WSW around 15mph and gusting to 20mph; not great for our first foray across the mouth of the Hamble and the busy shipping lanes of Southampton Water but hey, we were ready to go so just got on with it! Radio checks were made and we paddled out, through the yachts, and towards the mouth of the Hamble and Southampton Water. 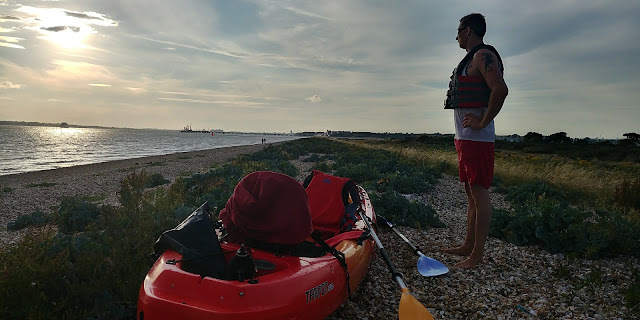 The waves started to pick up to 3-4ft of swell and we tried to angle the boat more to the SE as they were coming from the N (top of Southampton water) and rolling us, alarmingly at times although Tom (occupying the front seat of the kayak) seemed to be loving it! We waited for the Isle of Wight ferry to pass us in the shipping lane and had some "fun" surfing the waves (you can see our speed pick up to nearly 8mph at one point!) and then, in a moment of sensibility, decided to abandon our trip across to Calshot and paddle around to the beach area of Hook Park nature reserve. would it have dropped by the return journey? it was our first trip, together, in these conditions so better to play it safe! Beaching on the shingle banks of the nature reserve we pulled the kayak out of the water and tried to go for a swim.... I say tried as Tom waded out a hundred yards or so and was still only thigh deep - now he is tall, but not that big! So we abandoned that and opted to fire up the MSR stove and have a cup of tea while discussing plans for our next trip and walking/wild camp on the Clarendon Way in a few weeks time. The paddle back was fairly uneventful, a bit more surfing (well why not make the best of a situation eh?!) and then a gentle cruise back along the Hamble before landing on the slipway and shivering our way through loading the car up before heading home again. It's worth pointing out that we had checked; currents, tides, wind & general weather before heading out but you have to be prepared to adapt to the conditions and current situation at all times - we both made the right call on this trip as I could easily have been typing a very different blog!